Do you like to grab your groceries as fast as possible or pick up lots of tempting products from the shelves and read each and every label? I'm definitely a label reader (and a slow grocery shopper). 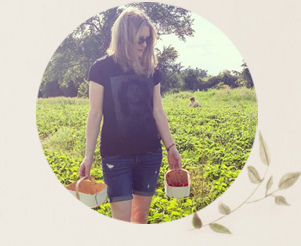 I like to read the ingredients (because it's pretty important to know what we're putting into our bodies) and I also like to check out the Nutrition Facts table. Recently I attended an event geared to helping consumers better understand the Nutrition Facts table and what it can do for our families. The table provides a clear and simple way for us to make more informed food choices and achieve greater health. 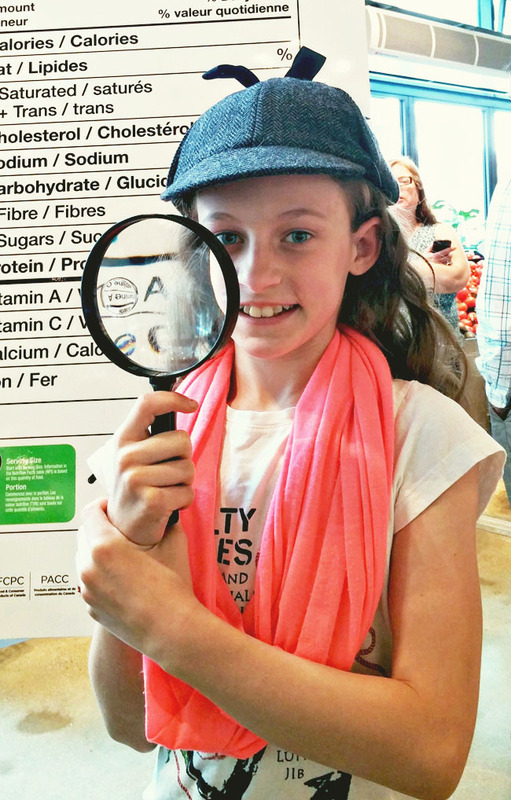 My girl came along with me to Metro in Etobicoke, where she picked up her inspector's hat and magnifying glass in preparation for hunting down some nutrition information. 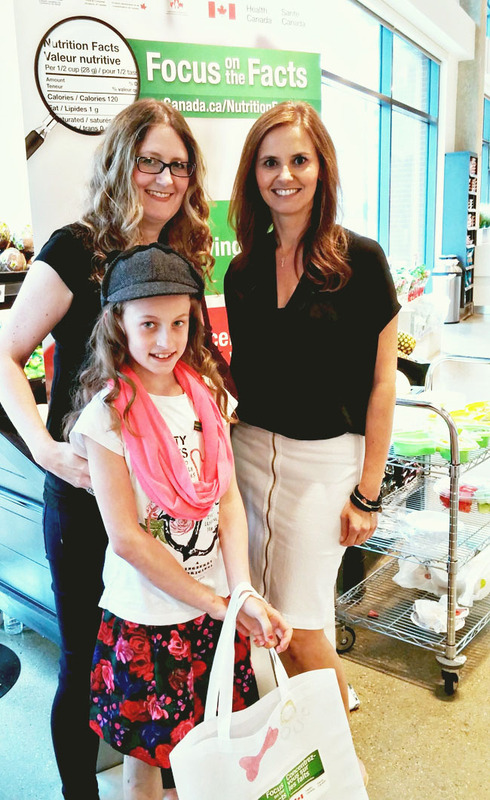 At the Nutrition Facts Toronto Fact Finder's Mission Event we were welcomed by Kristina Matisic, co-host with Anna Wallner of Anna & Kristina’s Grocery Bag, which airs on W Network and OWN. 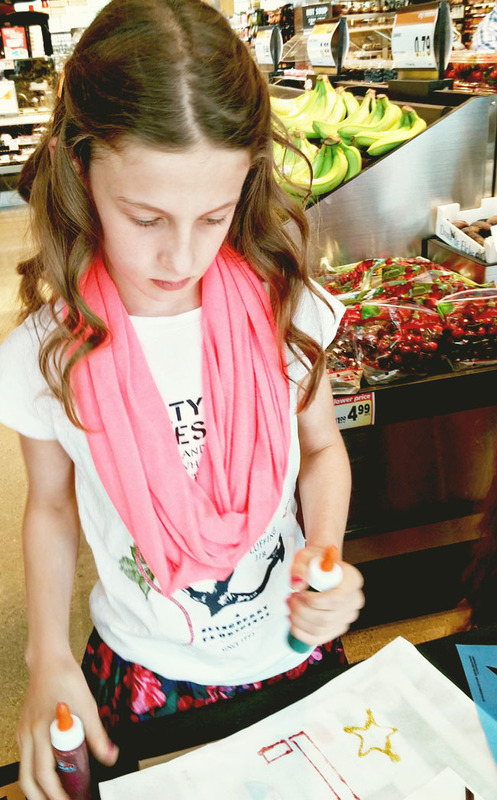 My daughter and I then teamed up with other bloggers and their children to go on a Nutrition Facts table-reading mission in the heart of the grocery store. My girl and I were tasked with finding two different types of pasta and comparing the Nutrition Facts tables. We first looked at the serving size, found at the top of the Nutrition Facts table (NFt) just under the header, and discovered that both pasta manufacturers were indicating the same serving size. That allowed us to easily compare apples with apples...or pasta with pasta as it happens. Once we compared the serving sizes, we moved to the Percent Daily Value (% DV) on the right side of the NFt. Use the % DV to see if the serving size indicated will give you just a little or a lot of a particular nutrient. A little is 5% DV or less, while more than 15% DV is considered a lot. We found that the gluten-free "white" pasta we picked up had much less fibre in the same serving size than the whole grain pasta. While the calories, fat and sodium were comparable, we also found that the whole grain pasta had a lot of iron, whereas the white pasta did not. 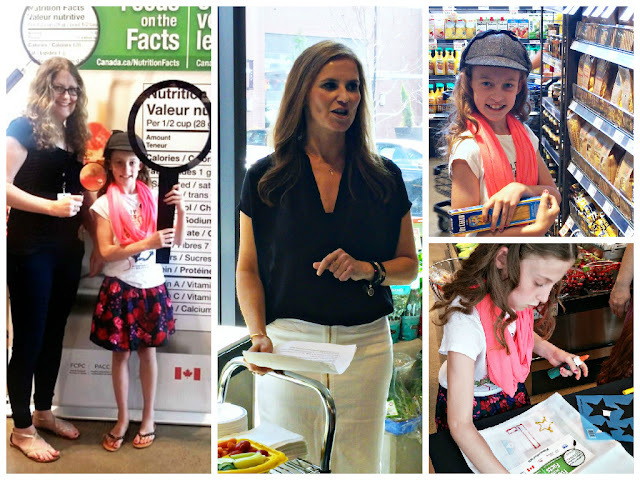 The Nutrition Facts Education Campaign is an initiative from the Government of Canada, the Retail Council of Canada, Food Consumer Products of Canada, Canadian Federation of Independent Grocers and Health Canada. The campaign aims to educate Canadians,­ especially parents of children ages 2 to 12, to use the serving size in the NFt. 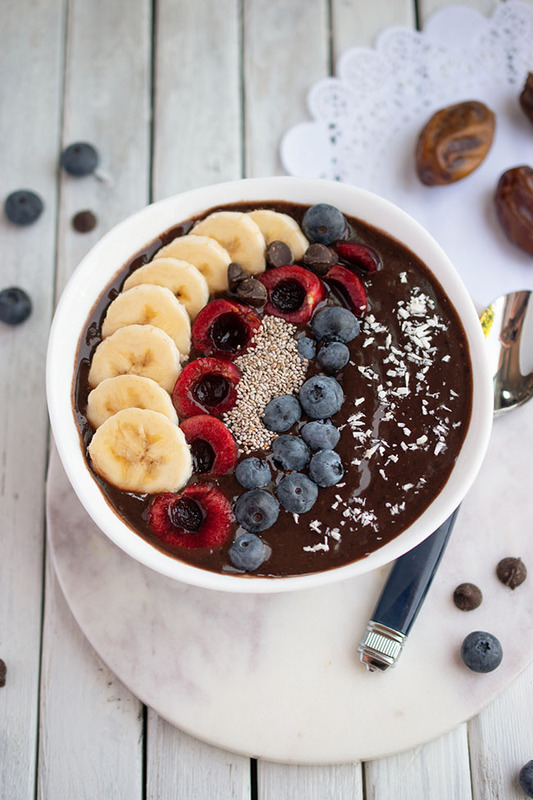 By doing so, and comparing % DV, we can choose foods that have more of the nutrients we want to consume, such as fibre and calcium, and less of those we don't, such as saturated and trans fats and sodium. For additional info about making informed food choices, follow the campaign on social media with the hashtag #FocusontheFacts and visit Canada.ca/NutritionFacts or Focusonthefacts.ca. Do you read the labelling on your grocery products? *This post is sponsored by the Nutrition Facts Education Campaign. All opinions are my own. I'll be bookmarking this one and keeping it for reference. Awesome and informative!